Not to be a bummer, but summer is around the corner and I can't help but dread it. The normal American teenager would be over the moon with the concept of long days and crazy nights full of spending time with friends, going to the beach, and having absolutely no school to stress over. Not in my case. For as long as I can remember, summer has been a bummer. Whether I go on a vacation, stay local, have plans, I can't help but feel restless. I wonder if I'm the only one who feels this way. Its been like this since I was young. This summer, however, has the potential of being one to remember. What makes it different than my bad history of summer's past? 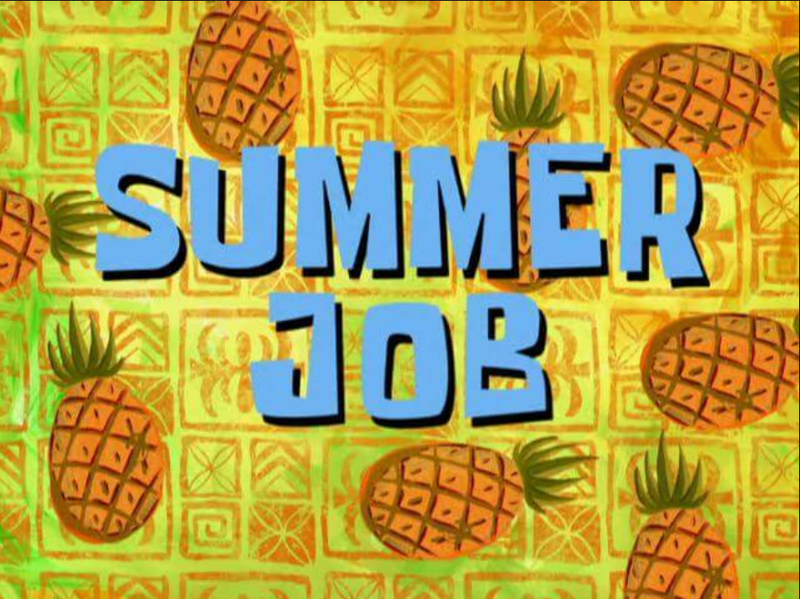 Well, this time, I have a job. I will be a server at a small family owned Mediterranean restaurant, keeping me busy for most of my days, while also teaching me new life skills. I will have a sense of purpose and accomplishment, something that has been nonexistent in previous summer vacation. I like routine. Having a schedule to follow and things to accomplish allows me to get the most out of my relaxation time, but in the summer, all-the-time relaxation time. This doesn't work for me. The less I'm doing, the more time I have to think, resulting in more anxiety. Feeling useless is the only way to describe it. Like most people, I always want what I don't have. When I'm at school I want to relax, but when I finally get that time to relax, I want to be back at school. Everything is better from afar and now that I've acknowledged that, I am prepared to take all of the necessary steps in the direction towards filling my days with positive and beneficial activities. It is the only way of keeping me from letting anxiety take over. This new mentality of summer is allowing me to feel a sense of excitement, but I still have to anticipatory anxiety about not having a schedule. Ways in which I plan to counteract this free-flowing stress is to continue using guided meditation to soothe my spirit. Visualizing calm and controlled settings is very powerful for people prone to anxiety. Another form of reinforced relaxation is mindfulness. Being present and aware of your surroundings and soaking in all of your emotions, good and bad. We often want to push uncomfortable emotions away in order to feel good, but that only heightens our internal turmoil. We have emotions for a reason. Survival. I like to think of our bodies as factories. Every part has a job. Occasionally, the workers have to go in a break. We can't function to our maximum capacity all the time. It's not natural. So when your mind and body are in rhythm, you are more likely to face your problems with a more holistic approach. It's all about balance. And yes, while relaxation and lack of productivity is enjoyable and necessary occasionally, it isn't a sustainable way to live in the long run.